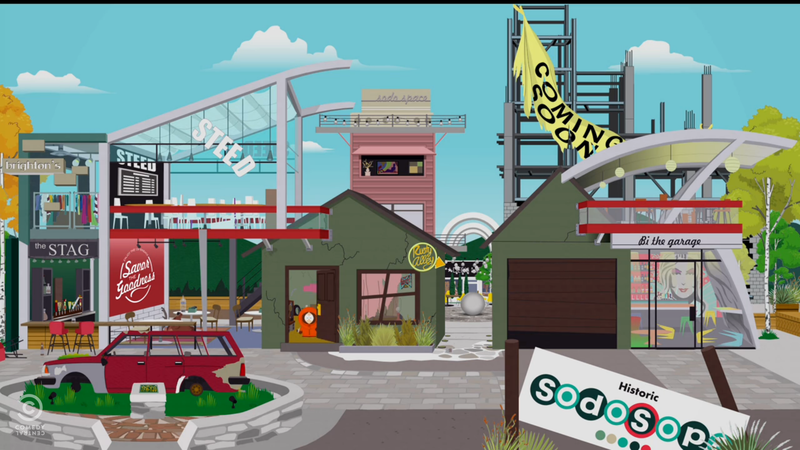 Apparently on the South Park subreddit the SodaSopa is supposed to be deserted. I can't find the pic though. Seriously, I found this to be one of the best South Park episodes I've seen so far. Kenny's present at the end is heartbreaking. For a brief moment, it puts the other episodes, or at least Kenny's character, in a different perspective: a raw, harsh, cruel reality. Lu Kim still can't say city right. Why did Lu Kim called Kenny Dennis? Kenny was absent in the next episode.